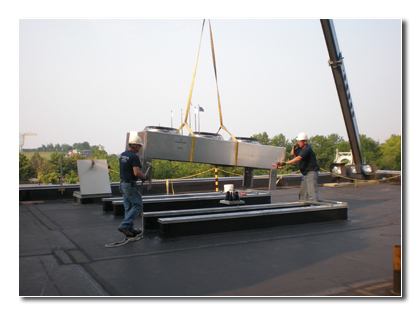 A.A. Duckett, Inc.’s mechanical systems service expertise coupled with its mechanical construction knowledge creates a unique offering available to existing and potential clientele. These synergies between mechanical service and mechanical construction allow A.A. Duckett, Inc. to focus on practical and cost effective solutions for their customers. Our team offers complete turnkey services for all phases of the design, construction, and service aspects of any HVAC/R project. With nearly 100 years of experience and access to the expertise of Elliott-Lewis Corporation, A.A. Duckett, Inc. brings a value that engineering firms and most contractors cannot match when installing new or retrofitting existing mechanical systems. Customers enjoy reduced engineering fees, systems knowledge, application effectiveness, employee comfort, and energy conservation.